This little plastic picnic table is the ideal size for kids to enjoy snacks, games, crafts, and of course picnics! The 32" diameter smooth table top surface serves as a perfect platform for drawing and coloring. Rounded shape brings everyone together and creates a socially inviting environment. 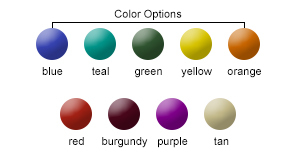 Available in colors shown below. 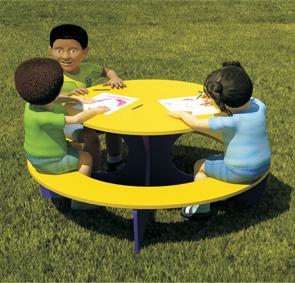 Constructed of heavy-duty 3/4" plastic, this kids picnic table will stand up to outdoor weather.